You can still go windsurf at the Stick if you approach from the East. Just take 3rd Street to Gilman. Gilman will take you right to the windsurf area. Its not so difficult so that you can't go anymore! You guys might want to reach out to the SFBA. I believe that Candlestick Point is part of the Bay Trail with water access protected by BCDC. Any change in that access requires BCDC approval. 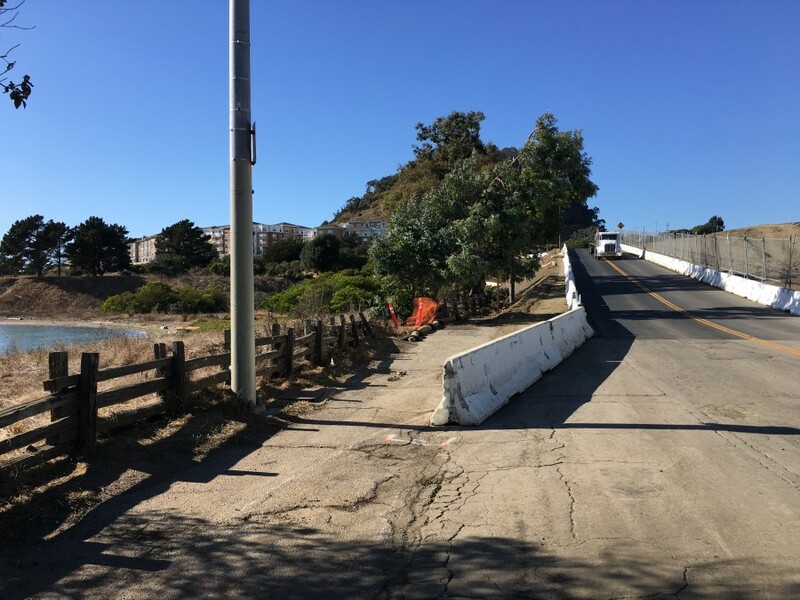 The SFBA will ultimately be using this to enhance access at Treasure Island and to push back if the GGNRA decides to reconfigure the parking lot again next year in a manner that seriously degrades our water access there. I don't sail Candlestick anymore but I might if it was a nice park at the edge of mixed use neighborhood. In a city and region that is desperately in need of more housing, this sure seems like a reasonable place to put it. Unfortunately, I'm afraid that there is not much SFBA can do. 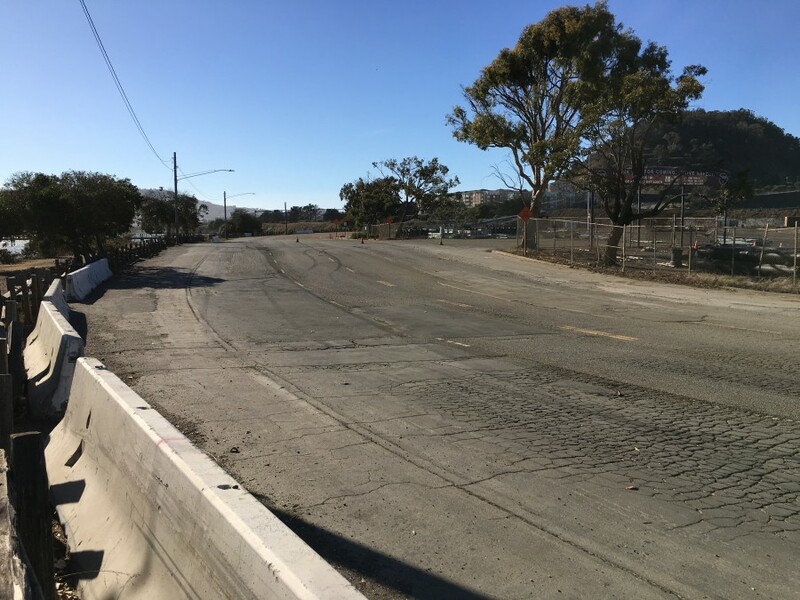 I believe the closed roadway was there to handle the heavy traffic during 49ers and Giants games, and it's not included in the redevelopment plan (see the Candlestick Point SRA General Plan I posted earlier). In fact, the land will become part of the water front park. 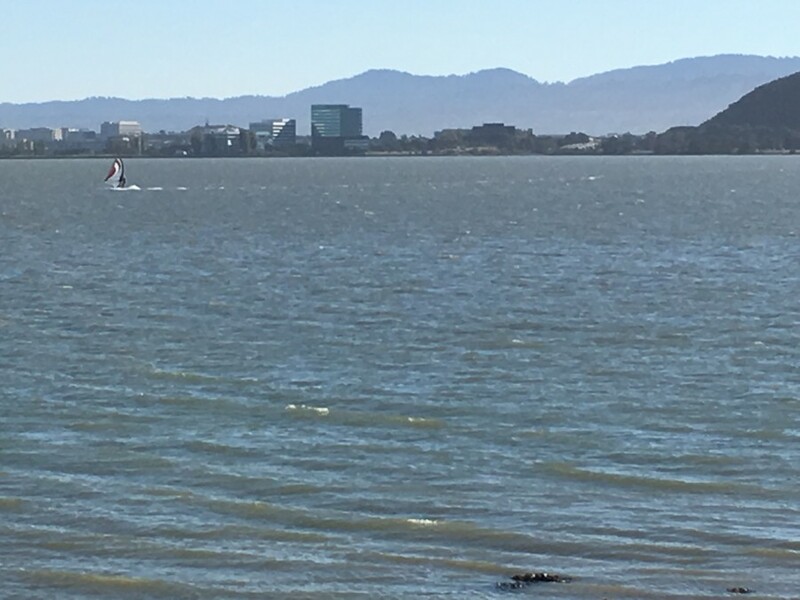 However, it is imperative that we keep a close eye on the State Park's implementation plan, making sure that they don't move the windsurfing launch down to Hermit's Cove per parks.ca.gov's ALTERNATIVE 4 -Recreation by the Bay. Too much wind shadow. From now on, everyone must drive through an unattractive section of S.F. in order to get to the State Park. Hey, sail early! With decent wind, "The Naked Gun" was out sailing today. Also, on a positive note, the donuts crowd was not there and won't be there anymore. I talked with the construction workers today and they said that they are going to put asphalt on the new road tomorrow, and reopen the connection to the freeway on Thursday. 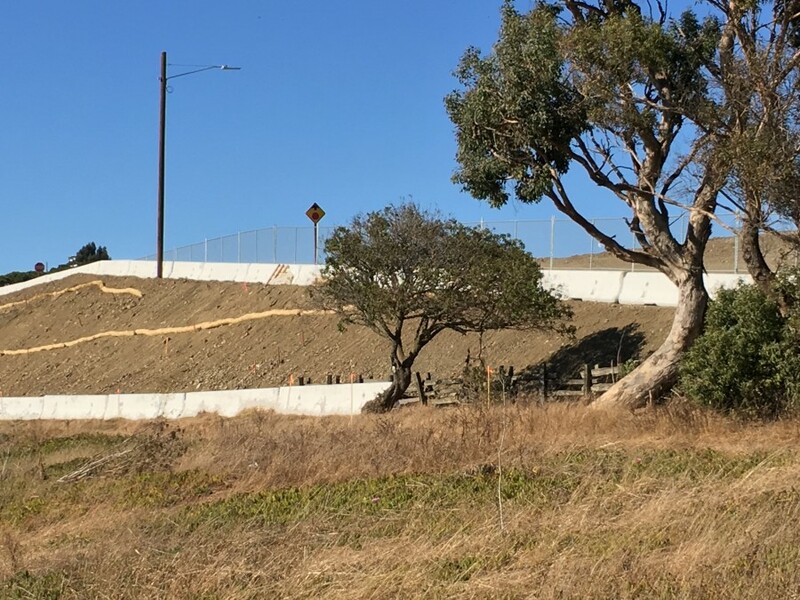 Even if they delay a few more days we are good: there is going to be a road to get to Stick from the freeway exits without having to go through 3rd street. Davide is right. Our normal travel route is open for business again. With a huge amount of dirt piling onto the road the other day, I assumed that the road was permanently gone. As it turns out, they just elevated a section of the road by some 20-30 ft (difference between top of the hill and the original roadside wood fence, as show on the following pics). Now we have to go up and down a hill for whatever reasons. Regardless, we have our road back.